… contemporary umbrella term that refers to the historical and current First Nations people whose individual spirits were a blend of female and male spirits. This term has been reclaimed by Native American LGBT communities in order to honor their heritage and provide an alternative to the Western labels of gay, lesbian, or transgender. Reclaiming these aspects of culture and the overall well-being of two-spirit people is a central mission of contemporary two-spirit-led organizations. In 2015, members of the National Confederacy of Two Spirit Societies met to officially disband the group and reorganize as the International Council of Two Spirit Societies. The council members currently include 13 two-spirit societies based in the United States and four based in Canada. The Two Spirit Journal is a news outlet that hosts original content and connects two-spirit communities throughout the United States and Canada. Presentations and workshops led by two-spirit community members are available for those who want to learn more about two-spirit communities. The lived experiences of two-spirit people reflect significant disparities across multiple areas of concern compared with non-AI/AN and non-LGBT people. More than 35 percent of two-spirit and AI/AN transgender people report having lost a job because of their gender identity. Thirty-seven percent of two-spirit and AI/AN LGBT people report the lowest rate of full-time employment of all people. In 2008, 23 percent of two-spirit and/or transgender people were living in extreme poverty. In 2013, two-spirit and native gay men accounted for 71 percent of new HIV diagnoses within the AI/AN population. Research indicates that 78 percent of AI/AN women who identify as bisexual, lesbian, or two spirit have experienced physical assault and 85 percent have experienced sexual violence. Federal agencies have begun to provide culturally specific services in an attempt to improve outcomes for two-spirit people. The Tribal Training and Technical Assistance Center housed in the Substance Abuse and Mental Health Services Administration of the U.S. Department of Health and Human Services is one example. The center provides culturally specific training and technical assistance to federally recognized tribes, tribal communities, and tribally-missioned organizations that seek to address mental health and substance abuse issues. Two-spirit leaders were central in the development and implementation of the center’s programming and contributed greatly to its success. In 2015, the Indian Health Service also began to conduct listening sessions with two-spirit communities to strengthen programs and services. Establishing a policy and service delivery framework that supports and affirms two-spirit citizens throughout Indian Country is an essential part of addressing prevailing health and economic challenges and building opportunity for all tribal citizens and their families. In 2010, the Indigenous Ways of Knowing, or IWOK, Program of Lewis & Clark College in Portland, Oregon, began to engage tribes; two-spirit community members; and organizational partners, such as the Native American Program of Legal Aid Services of Oregon, Western States Center, and Basic Rights Oregon, in order to develop resources for tribes seeking to adopt policies that affirm two-spirit people and their families. IWOK published the first edition of the Tribal Equity Toolkit in 2012 and a growing coalition of organizations has been working to strengthen it as a resource for tribes seeking to pass laws to support two-spirit and AI/AN LGBT people ever since. At the grassroots level, a growing number of tribal citizens are advocating for inclusive policies. 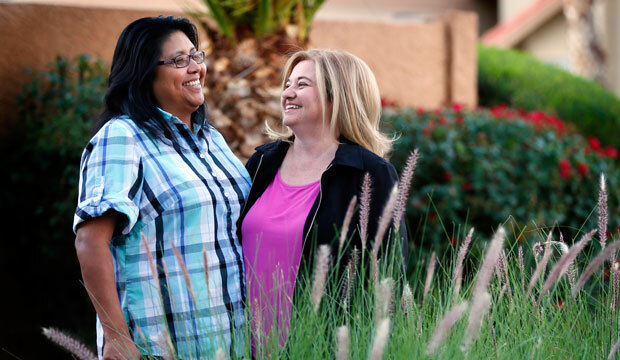 At least 25 tribes now allow two-spirit couples to marry within their jurisdictions. Despite growing support for marriage equality within Indian Country, however, at least 11 tribes still prohibit two-spirit people from getting married. NOW THEREFORE BE IT RESOLVED, that the NCAI does hereby establish a Two Spirit Task Force to assist in the coordination, collaboration, and outreach to Indian Country on Two Spirit issues; and to develop and share approaches and solutions to policy issues that affect Two Spirit/LGBT community members in a manner consistent with the Indian self-determination. The majority of current research that is available focuses on the LGBT community as a whole. Even so, most data collection efforts conducted by government organizations do not include questions about sexual orientation and gender identity. This means that there are gaps in research and, thus, in the information that elected leaders can use to make decisions on policies to better serve the needs of all LGBT communities. Available data specific to two-spirit people are even more limited, which suggests the need for additional resources and further research that will empower decision-makers to better understand and address the needs of two-spirit and AI/AN LGBT people. Aaron Ridings is the Associate Director of the LGBT Research and Communications Project at the Center for American Progress. Se-ah-dom Edmo is the movement building director at Western States Center.